It’s time to say “Thank You!” to the guys in our lives who have made a difference to us. 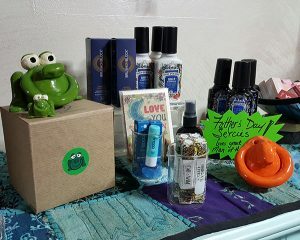 Whether it’s your dad, granddad, uncle, or another important man in your life, be sure to tell them Happy Father’s Day. Man of the Hour Skincare Treatment – Dads need to take care of their skin too! 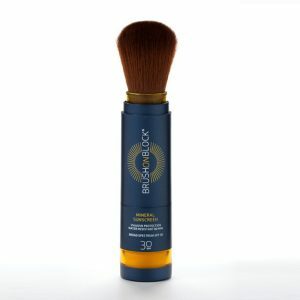 Brush on Block Sunscreen – Way better than lotion and we want to keep Dad from getting skin cancer. See more info below in our new products section. New Seeds of Happiness Froggies! Being a Dad has nothing to do with who your “donor” is, it is about being there for you and about showing love and support. I lost my Grandfather a year ago, he has been the strongest male influence in my life and was until the day he died. I miss him a lot. So Happy Father’s Day Shoopy and Watch the Ice! After the US Senate’s unanimous approval 9 years ago, “National Pollinator Week” has grown into an International movement celebrating the value of bees, birds, butterflies, bats and beetles. As some of my blog posts have talked about, the importance of pollinators can’t be stressed enough. If we don’t have pollinators we don’t have a food chain! Did you know a tiny fly (a “midge”) no bigger than a pinhead is responsible for the world’s supply of chocolate?! To help support the pollinators, Raspberry Moon is giving everyone who comes in for a service in June a COMPLIMENTARY packet of Pollinator Habitat Wildflower Seed Collection from American Meadows. (Little late getting the seeds in BUT if you missed it in June I will save you a pack for July.) The mixture contains Pollinator Mix, Butterfly & Hummingbird Mix, Bee Mix and Beneficial Bug Mix, so we have all of your pollinators covered! Not only will you be helping the dwindling pollinator population by planting this easy-to-pollinate collection, but you’ll also enjoy a rainbow of blooms starting in just weeks and coming back year after year. All of the seed at American Meadows is non-GMO, neonicotinoid-free and guaranteed to grow. *For the month of June only, American Meadows will donate $1 for every plant and pound of seed sold on this page, as well as $.50 for every social media post using the hashtag #AMIPollinators, up to $2,500. Still not convinced that you need to help the pollinators? One out of every three mouthfuls of food we eat is delivered to us by pollinators! Watch for pollinators – Get connected with nature. 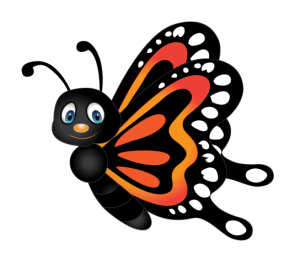 Take a walk, experience the landscape and look for pollinators midday in sunny, planted areas. Reduce your impact – Reduce or eliminate your pesticide use, increase green spaces, and minimize urbanization. Pollution and climate change affect pollinators, too! Plant for pollinators – Create pollinator -friendly habitat with native flowering plants that supply pollinators with nectar, pollen, and homes. Plant native plants for your region that provide nectar for adults plus food for insect larvae, such as milkweed for monarchs. Avoid pesticides, even so called “natural” ones such as Bacillus thuringiensis (Bt). If you must use them, use the most selective and least toxic ones and apply them at night when most pollinators aren’t active. Why not get the kids involved? 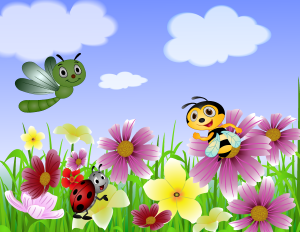 There are fun ideas at http://pollinator.org/npw_fun.htm – let them help you save our pollinators! http://pollinator.org/npw_gardens.htm – they even have a mobile app that you can use to help pick plants for your region. http://www.americanmeadows.com/save-the-pollinators – My friend Jaidra recommends this company and that’s who I bought the pollinator seed mix from. http://www.heavenlyseed.net/ – is a local seed company in Anderson. Tina has gotten seeds from them before and she really likes them. http://scnps.org/ – The SC Native Plant Society. https://www.wildflower.org/ – not local but a great site and has kid activities. We believe in the importance of pollinators so much we’re putting our money where our mouth is. We’re holding a contest for the month of June. 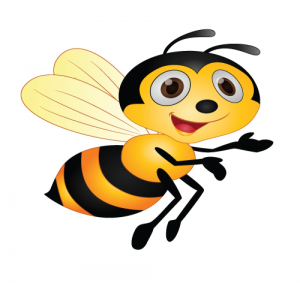 Raspberry Moon will purchase a Bee Smart School Garden Kit for the winner’s school for the upcoming school year. Access to additional Bee Smart™ School Garden Kit materials on our website. Teachers you can enter this contest for your class and kids you can enter the contest for your new classroom for this fall. Draw me a picture; Take a Photo; Build a Habitat for a Pollinator; or Write a Little Story about a Pollinator – whatever works best for you. Be sure and share the contest with your friends – make it a group effort if you want. Winner will be chosen on July 5th. I can’t wait to see how creative the kiddos (and teachers) will be for this! 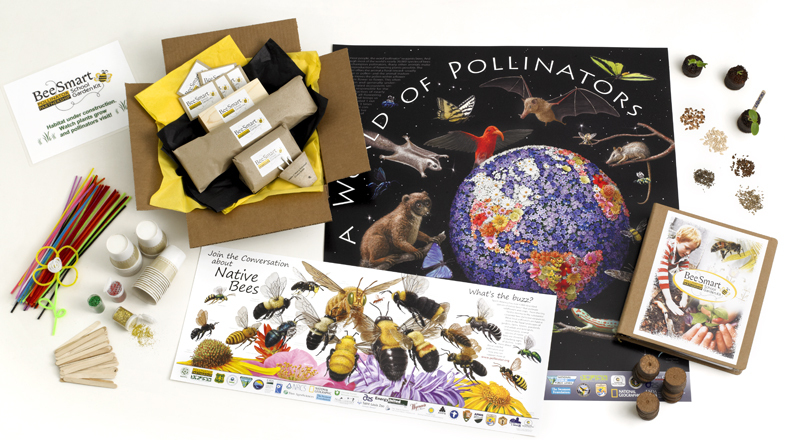 Teachers or Parents wanting to keep the kids entertained this summer – http://pollinator.org/beesmart_about.htm has all sorts of different things listed. 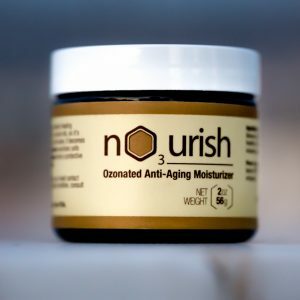 I have been using this cream all winter and love it. Love those bees! Simmondsia chinensis (jojoba) seed oil*. Beeswax from Mountain Rose Herbs. Bee Pollen from HiveMind. Fractionated cocos nucifera (coconut) oil**. Activated oxygen (ozone). Apply a thin layer as needed. Store below 80°F/26°C. For long-term storage, keep refrigerated. SPF30 Mineral Sun Screen that is translucent. I actually tried this out on a client with dark skin and it was totally clear within a few seconds. For all of my Vegan Peeps – BRUSH ON BLOCK is vegan-friendly and is made of synthetic hairs and the mineral powder contains no animal by-products. BRUSH ON BLOCK can safely be applied to children 6 months of age and older and is easier than many leading lotions, sprays or sticks. For children under 6 months, please check with your doctor. I still mostly use minerals for my face, neck, ears, scalp and maybe décolleté area. I use spray sunscreen for everything else.